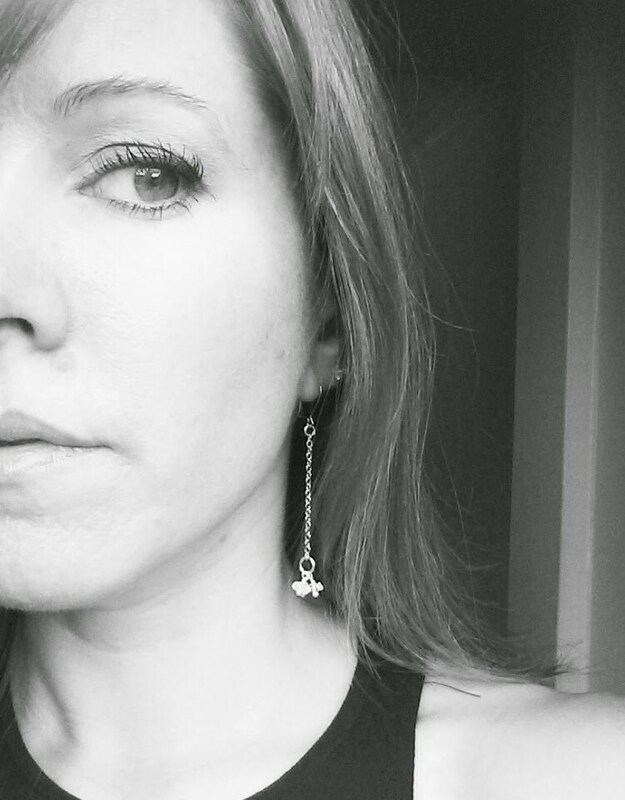 My new favorite earrings! 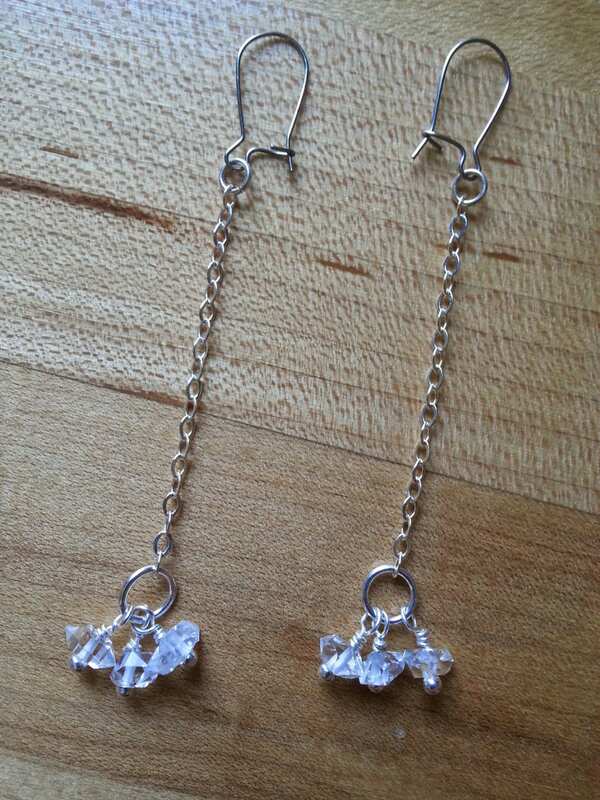 3 clear herkimer diamonds hang on each dangle earring made of sterling silver chain. The ear wires are sterling kidney shaped. This pair is 2.75" long but they can be made in any length. Please send a message with your requested length. 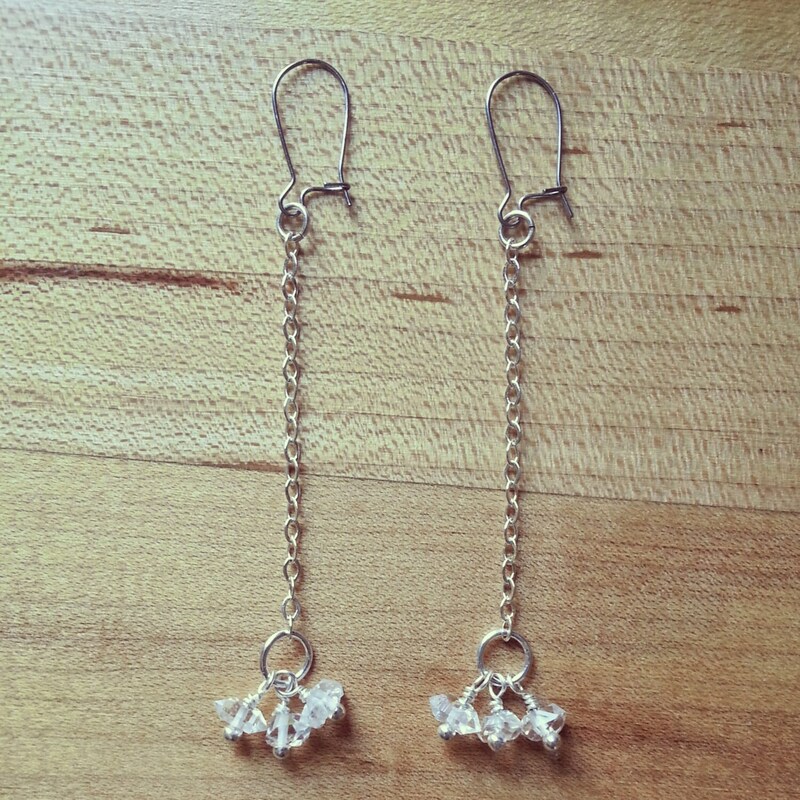 Your earrings will be sent on brand new, unworn sterling silver kidney shaped ear wires.